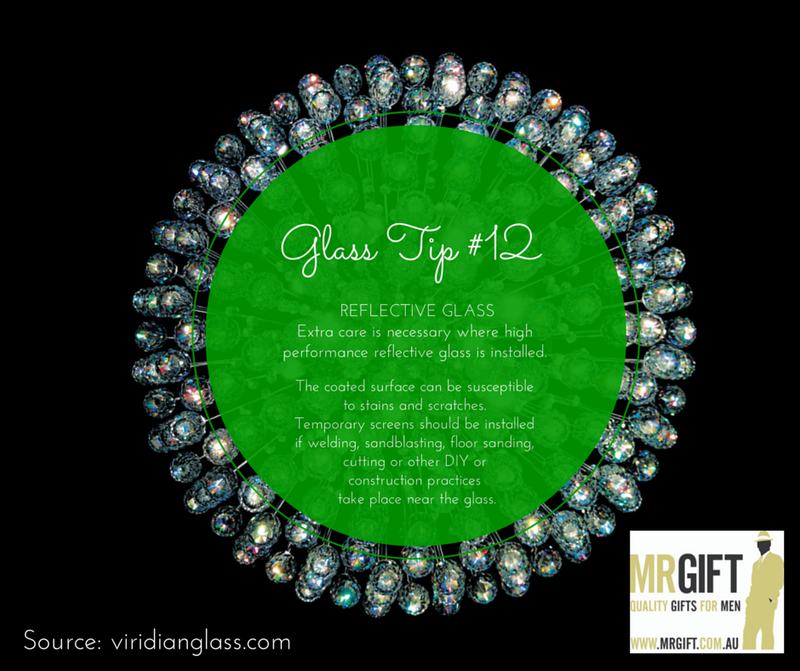 Here's part two of our How to maintain and care for glass in your home mini blog series. Do not store or place other materials in contact with glass. This can damage the glass or create a heat trap leading to thermal breakage. Extra care is necessary where high performance reflective glass is installed. The coated surface can be susceptible to stains and scratches. Temporary screens should be installed if welding, sandblasting, floor sanding, cutting or other DIY or construction practices take place near the glass. Glass installations which are adjacent to concrete (e.g. concrete slab floors) also require extra care and cleaning due to the abrasive nature of concrete dust. The cleaning of toughened glass requires special care. The glass surface opposite the standards compliance stamp may, as a consequence of the manufacturing process, have ‘pickup’ on the surface. ‘Pickup’ is a deposit of very small particles of glass which are fused to the glass surface. A cleaning method which does not dislodge these particles should be employed otherwise scratching of the glass surface may result. Blades or scrapers have been known to dislodge ‘pickup’ from the glass surface. A soft cloth, which will not dislodge 'pickup’ should be used. Glass with a Low-E coating cleans differently to ordinary glass. Cleaning the coated (interior) surface can be done with products such as Windex Multi-Surface Cleaner, Mr. Muscle Surface and Glass or a mixture of one part vinegar with ten parts water. When cleaning, always wear gloves and remove jewellery or watches. Flood the glass surface with the spray-on cleaning solution or with a cloth saturated with cleaning solution. Scrub the wetted surface with a clean, lint free towel or cloth. 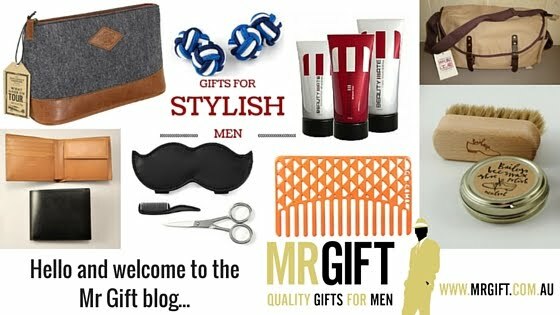 Wipe with a dry, clean, lint free towel or cloth. Do not use a squeegee on the coated (interior) surface. To prevent streaking, stop wiping when the glass is almost dry and there is a uniform film of moisture left on the glass surface. The film will quickly evaporate leaving a clean surface. The non-coated surface of the glass can be cleaned using the same procedure as ordinary glass. Mirrors require special cleaning care. To clean mirrors, simply wipe over the surface with a few drops of methylated spirits on a damp cloth. Polish surface dry with a lint free cloth. Some proprietary glass cleaners, if used to excess, can cause damage to the silvering as can excessive amounts of water. Make certain when cleaning the face of the mirror that there is no contact with the silver backing, particularly at the edge of the glass and be careful to keep any moisture away from the paint backing of the mirror. Ensure cleaning cloths used are free of any abrasives. When cleaning also make sure to consider the window components i.e. frame, glazing gaskets, seals, hinges and locks, etc. as these will carry their own considerations, you should consult the manufacturer regarding the specific cleaning instructions for these items. 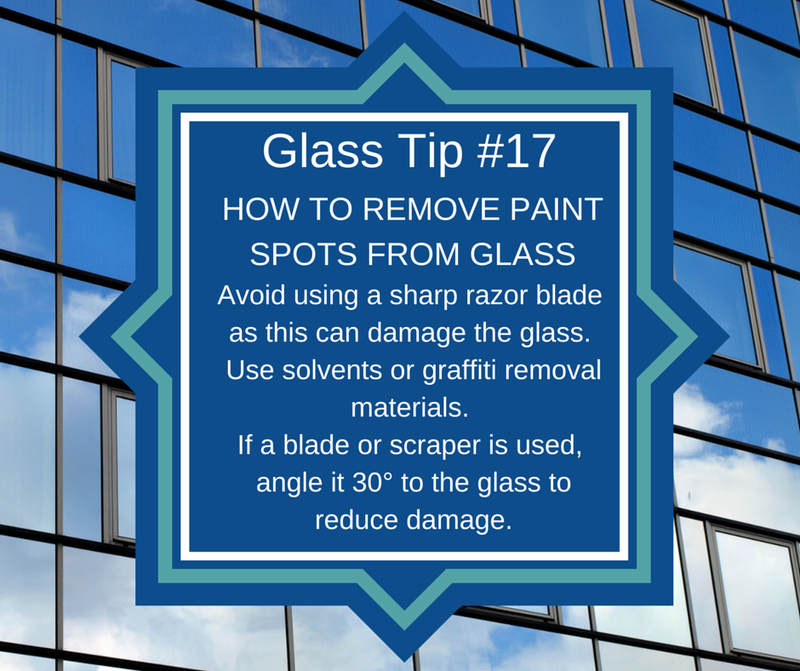 When doing paint work in the home avoid removing any paint spots using a sharp razor blade as this can damage the glass. 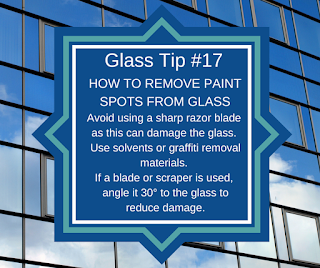 As an alternative, investigate solvents or graffiti removal materials, ensuring they won’t damage the glass. If a blade or scraper is used then the risk of damage can be reduced by using a scraper which has a clean edge and is held at an angle of 30° to the glass. However, surface coated, modified or tinted glass requires special care, you will need to seek cleaning advice from your local glass merchant regarding this. 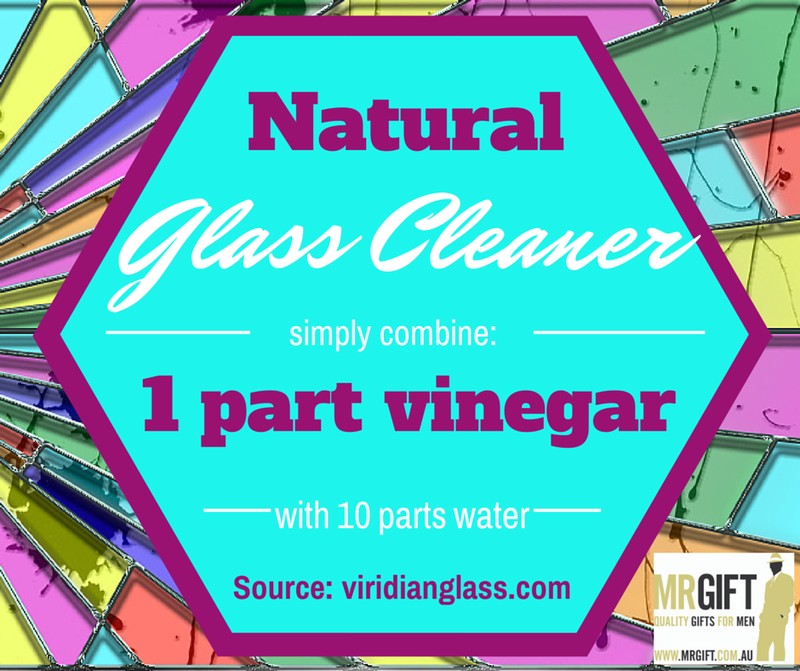 What is the most-cleaned glass surface in your home?